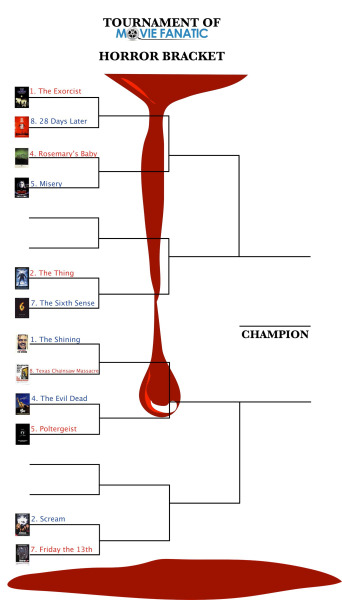 The Evil Dead vs. Poltergeist: The Tournament of Movie Fanatic Horror Bracket! Welcome to week two of the Tournament of Movie Fanatic Horror Bracket! We're gearing up for Halloween, and the first round is almost over. The previous matchups of The Exorcist vs. 28 Days Later, The Shining vs. The Texas Chainsaw Massacre, The Thing vs. The Sixth Sense, Scream vs. Friday the 13th, and Rosemary's Baby vs. Misery are still open for voting. Today's matchup pits two scary movies from the early 80's, The Evil Dead vs. Poltergeist, against each other! Scroll down to read about these films and cast your vote, then check out the update bracket below! 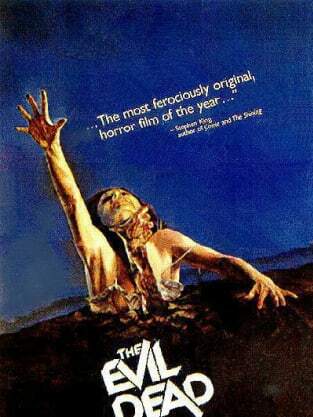 The Evil Dead: One of the ultimate cult films, The Evil Dead was made for a couple hundred thousand dollars by then-unknowns Sam Raimi and Bruce Campbell. The film follows five college students vacationing at a cabin in the woods, who accidentally unleash a band of demons. The film has spawned two sequels, an upcoming remake, and an entire genre of campy, gory low-budget horror films with just the right amount of black humor underneath. The movie is scary, and fun, and endlessly captivating. Head to our Evil Dead quotes page for more. 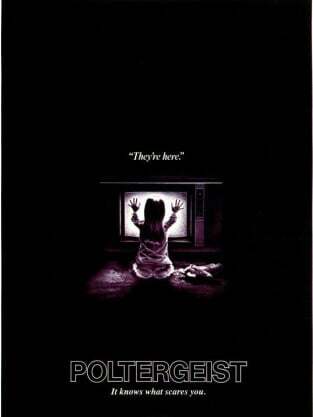 Poltergeist: Poltergeist landed in 1982 and showed that the supernaturally super filmmaker Steven Spielberg had even more tricks up his sleeve by bringing to life this haunted house horror story. The film, written by Spielberg and directed by Tobe Hooper, follows a Southern California family who moves into what they believe is their dream home. When they discover more than a few things that go bump in the night, they delve deeper. Then, when their daughter Carol Anne seems to disappear into the TV and then into the house itself, the family--led by Craig T. Nelson and JoBeth Williams--hires a supernatural spiritualist who lets them in on a scary secret: The house was built on an old Native American burial ground. Head to our Poltergeist quotes page for more! Which horror movie is better? There is no death. It is only a transition to a different sphere of consciousness.